A thief who claimed false imprisonment after he was locked inside the van he was stealing from has been jailed. Jason Maginnis was caught red-handed stealing £11.37 from a Ford Transit van in Sunderland on 17 January. The owner locked him inside prompting the 25-year-old's imprisonment claim, Northumbria Police said. He broke the window with a baton but was arrested in a nearby garden. 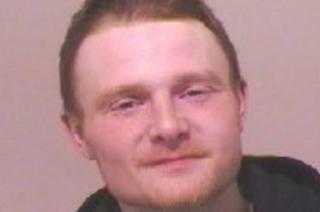 He was jailed for six months after admitting theft at Newcastle Crown Court. Maginnis, of no fixed abode, also admitted criminal damage and possessing an offensive weapon. Sgt Ed Hollingsworth said Maginnis was an "opportunistic thief" but his "deceit came back to haunt him" after the van's owner spotted him. He said: "Knowing he would be in trouble if caught, Maginnis then used a baton in his possession to try and smash his way to freedom and attempt to hide from officers." Sgt Hollingsworth also urged vehicle owners to lock their vehicles and hide valuables.